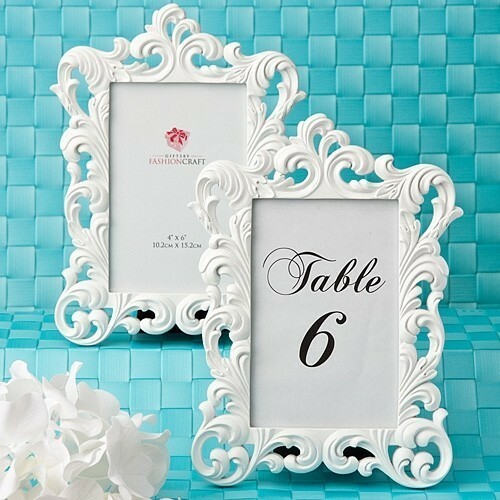 Dimensions: 9" x 6 1/2"
Featuring a vintage-inspired ornate baroque design this white frame may double as a table number holder or a buffet marker at your event. Made of poly-resin, the frame holds a standard 4" x 6" picture and features a hinged velvet backing. Each comes packaged in a white box. Sold individually.